Fluoride Treatment – makes your teeth stronger and more resistible to decay and reduces teeth sensitivity. Fluoride is a naturally occurring element that strengthens teeth. This can help to prevent tooth decay. Experts say the best way to prevent tooth decay is to use several sources of fluoride. Fluoride is found naturally in water sources in small amounts. Some foods, such as meat, fish, eggs and tea, contain fluoride. It also is added to water in some areas. Many toothpastes, rinses and professional treatments contain fluoride. Prescription fluoride tablets are available for children who do not get fluoride in their water. Demineralization begins with the type of bacteria that cause plaque on your teeth. These bacteria feed on sugar in your mouth and produce acids. The acids dissolve the crystals in your teeth. Remineralizationbuilds the enamel back up. In this process, minerals such as fluoride, calcium and phosphate are deposited inside the enamel. Too much loss of minerals without enough repair of the enamel leads to tooth decay. Fluoride can strengthen teeth in two ways — from the outside or the inside. Fluoride also strengthens teeth from within. 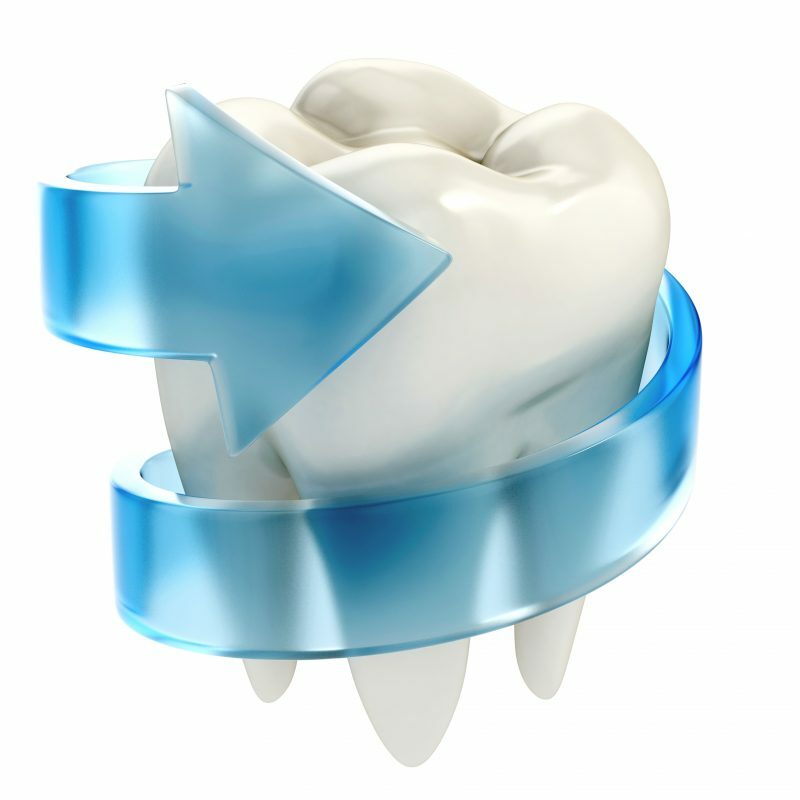 Swallowed fluoride enters the bloodstream and becomes part of the permanent teeth as they develop. This is called systemic fluoride. The teeth become stronger, so it is harder for acids to destroy the enamel. Dental office fluoride treatments commonly are given to children as their teeth are developing. A child who has a history of cavities or is at high risk of decay should use additional fluoride. This promotes remineralization of the teeth. Many children get fluoride treatments every six months. The treatments provide extra protection against cavities, even if children already drink fluoridated water. Fluoride supplements generally are reserved for children 6 months to 16 years old who have low levels of fluoride in their drinking water and also are at high risk for dental decay. These are available as liquids or drops for younger children and tablets for older children. Either your pediatrician or your dentist can prescribe them. Fluoride is applied as a gel, foam or varnish during a dental appointment. The teeth are dried so the fluoride doesn’t become diluted. Fluoride gel or foam can be applied by using a tray that looks like a mouth guard for one to four minutes. Fluoride varnish can be painted directly on parts of the teeth that are most likely to get a cavity, to strengthen them. This is an advantage of varnish over gel or foam. Varnish also contains a very strong concentration of fluoride. Topical fluoride comes in a variety of flavors, but it should never be swallowed. Fluoride supplements are usually used in children who are at high risk for dental decay. They are taken in small amounts. The daily dose ranges from 0.25 to 1 milligram. The amount is based on the child’s age and the amount of fluoride in the water he or she drinks. Dentists do not prescribe more than 264 milligrams of fluoride tablets at a time. That’s because the toxic dose of fluoride for a 2-year-old child weighing 22 pounds is 320 milligrams. To avoid any chance of accidental overdose, do not stock up on fluoride tablets in your home. If you have any questions regarding fluoride risks, talk to your dentist or physician. Everyone should use fluoridated toothpaste. Be careful with young children. They are more likely to swallow the toothpaste than to spit it out. Use only a pea-sized amount of toothpaste. Encourage them to spit out as much as possible. Avoid flavored toothpastes that may encourage swallowing. Don’t eat, drink or smoke for at least 30 minutes after a professional fluoride treatment. This helps to increase the fluoride’s contact with the teeth. Toxic fluoride doses are based on weight. For instance, a toxic dose of fluoride for an 8-year-old child weighing 45 pounds is 655 milligrams. In comparison, an 8-ounce glass of water with 1 part per million of fluoride contains 0.25 milligrams of fluoride. A small dab of toothpaste contains 0.24 milligrams of fluoride. Since these fluoride products are used in such small amounts, it is very difficult to receive toxic doses in a home setting. It is important that you talk to your dentist or dental hygienist about any fluoride products you are using. Your dentist or hygienist can consider all sources of supplemental fluoride and determine which are best for you or your child.